BEASLEY, RICHARD, office holder, fur trader, businessman, jp, politician, militia officer, and farmer; b. 21 July 1761 in the colony of New York, son of Henry Beasley and Maria Noble; m. 1791 Henrietta Springer, and they had three sons and five daughters; d. 16 Feb. 1842 in Hamilton, Upper Canada. Richard Beasley may have been captured by rebels on 14 Sept. 1777 during the American revolution. According to a 1795 petition, he arrived in the province of Quebec in 1777 and served two years as “Acting Commissary,” presumably at Fort Niagara (near Youngstown, N.Y.). There in 1781 he witnessed a co-partnership between John Askin* and the firm of Robert Hamilton* and Richard Cartwright*, Beasley’s cousin. In 1783 he formed a partnership with Peter Smith* in the Indian trade and they built trading houses at Toronto and Pemitescutiang (Port Hope). Five years later they petitioned for land at both places, but the government preferred other sites. Beasley subsequently took up land in Barton Township at the head of Lake Ontario. Patrick Campbell* visited him there in 1792 and recorded that he “keeps a shop . . . and trades much with the Indians in peltry.” That same year the deputy surveyor general of the new province of Upper Canada, David William Smith, noted that Beasley and James Wilson had a sawmill and grist-mill in Ancaster Township on a creek emptying into Burlington Bay (Hamilton Harbour). In the early 1790s Beasley settled on the southeast end of Burlington Heights (then in Barton Township but now in Hamilton), where he built a house, stable, and barn. In spite of his improvements, the ownership of the land was disputed by another local family, the Lottridges. Situated between Burlington Bay and the marsh to the west, Coote’s Paradise, the property gave its occupant control of trans-shipping there. 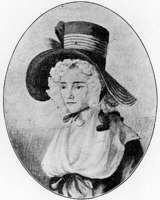 When on 11 June 1796 Lieutenant Governor John Graves Simcoe* and his wife were in the vicinity, they set out in a boat for Beasley’s. A commanding location with a beautiful view, the site was described by Elizabeth Posthuma Simcoe [Gwillim] as “more fitt for the reception of Inhabitants than any part of the Province I have seen.” Beasley used the opportunity of the visit to press his claim to the land upon the lieutenant governor, who was willing to support it if Beasley built a wharf and a storehouse. 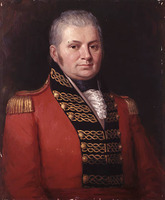 It was not until 1798, after Simcoe’s departure from Upper Canada, that Beasley reached a settlement with the Lottridges. He then petitioned the Executive Council, urging official confirmation of his ownership and citing “benefit to the public as well As to himself” of the wharf and storehouse he intended to put up. He received permission to build them on the beach fronting the property and in 1799 a patent was issued. Probably more than anyone then resident at the Head of the Lake, Beasley was in a position to reap the advantages of its growth. Aside from his enterprises, he had been appointed a magistrate in 1796, the same year he was elected to the House of Assembly for Durham, York, and 1st Lincoln. An officer of the Lincoln militia, in 1798 he was given command of the Company of the Burlington Circle in the York militia. His early political career was ordinary: in 1798 he voted for Christopher Robinson*’s bill allowing immigrants to bring slaves into the province and the following year he sided with the majority in defeating a bill allowing Methodist ministers to perform marriages. In July 1800 Beasley and Robert Nelles were elected in West York, 1st Lincoln, and Haldimand. William Claus*, who had attended the election, found “the Minds of the people there so much poisoned against the officers of Government, and that by Mr. Beasley . . . a Very troublesome man.” Beasley’s most notable contribution to the third parliament (1801–4) was his tenure as speaker in 1803–4. In the election of 1804 he was defeated. 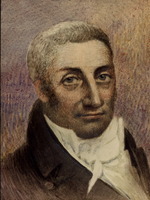 His re-election in 1808 for York West was contested on the ground that the returning officer had “prematurely closed the poll”; Beasley was unseated in February 1809 and succeeded by the radical agrarian John Willson*. Beasley protested to no avail. Prosperity eluded Beasley. He had sold his share of the Ancaster mills and 400 acres of land to John Baptist Rousseaux* St John for £1,200. Despite Cartwright’s warning against land speculation, he used his new-found finances in 1798 to purchase with James Wilson and Rousseaux – whom he later bought out – block 2 (Waterloo Township) of the Six Nations’ lands on the Grand River for £8,887 (provincial currency). Unlike most of the speculators associated with these lands, Beasley brought in some settlers. Still, he was unable to make his mortgage payments to the Indians’ trustees. In 1800 Robert Hamilton won a judgement against him for debt. To meet various obligations, he put up for sale his “valuable and pleasant property” in Barton, which included 976 acres (150 cultivated), his house, stables, a wharf, a storehouse, and timber. He managed, however, to hold on to this property and sold land in block 2 to Pennsylvania Mennonites [see Samuel D. Betzner*] without apprising them of the mortgage. It was several years before the tangled business was settled. Beasley’s world was collapsing on all fronts. He had recklessly abandoned milling for land speculation, only to flounder in the mire of block 2. 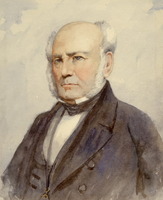 Commercial leadership at the Head of the Lake passed to Richard Hatt* while political dominance was assumed by Willson. Beasley’s life, however, was far from hard. Although he now “depended on the product” of his farm to support his family and servants, his estate included an attractive brick neoclassical style cottage, built before the War of 1812 and described in 1833 as “very roomy, being 50´ x 40´, with two wings 20´ square, and a frame kitchen 18´ x 30´ .” The farm had an orchard of some 200 apple trees, “a number of Choice fruit trees and a nursery of Young Apple trees,” and, by the 1830s, it also included an extensive peach orchard, “said to be the best in the province.” It was a suitable estate for the lieutenant-colonel of the West Riding Militia of York (commissioned on 26 May 1802). The war and its aftermath further undercut Beasley’s prestige. In the wake of the Americans’ offensive along the Niagara peninsula in the spring of 1813 and the defeat that fall of Major-General Henry Procter* in the west of the province, retreating British forces and their Indian allies congregated at the depot on Burlington Heights near Beasley’s farm. From June 1813 until September 1815 his home and buildings were occupied by troops, his farm encumbered with batteries and trenches, his orchards and fields rendered “useless,” his garden destroyed, his fences burnt, his timber cut, his grain confiscated, and several of his buildings ruined. Damages exceeded £3,000; commissioners later awarded him over £1,300. In an address to Lieutenant Governor Sir Peregrine Maitland* in October Beasley, who had been a high treason commissioner during the war, played down the need for stressing the obvious loyalty of a people “who, for three years, withstood every assault of an insidious, a daring and powerful enemy, merely for the maintenance of British Sovereignty.” At issue, rather, was the colonial administration of the past 20 years which, “with little exception, only gave experience of disappointment.” He looked “forward to more cheering times”; discontent, however, was real and “serious causes must exist for such agitations.” Beasley went beyond the traditional call for redress of grievances. He wanted an imperial inquiry into the state of the province, a task for which the provincial House of Assembly “is not, indeed, competent.” The seventh parliament had so far ignored matters “of vital import.” Maitland’s predecessor, Francis Gore*, had “by arbitrary acts . . . thwarted the laws of the land” and presented “just grounds for [his] peachment.” Robert Nichol*’s comprehensive resolutions in 1817 attacking Gore’s administration though “excellent” had been made too late. 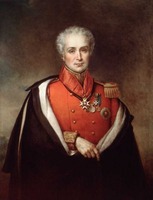 The province suffered from the “maladministration of good laws,” a check in its prosperity, and “discontent and poverty under the most genial clime, and rooted in the most fertile soil.” Fearing a renewal of hostilities with the United States and possible separation from Great Britain, he urged Maitland to forward the York convention’s address to the Prince Regent. The conventionists, however, had gone too far and the so-called Gagging Bill to limit such proceedings was passed on 31 October with only one dissentient vote. The administration moved quickly against the Gourlayites. In 1819 Beasley was dropped from the magistracy and lost the command of the 2nd Regiment of Gore militia, which he had held for ten years. He demanded a court of inquiry, which was held that spring. Adjutant General Nathaniel Coffin charged him with withdrawing from action at Lundy’s Lane in 1814, disobedience, neglect of duty, and unbecoming conduct. During the farcical proceedings Beasley was not allowed to speak in his defence or call witnesses. “It has,” he complained, “more the appearance of an Inquisition . . . . I might as well have been in the remotest part of India as present at Grimsby.” The court of inquiry upheld his dismissal. Beasley then called for a court martial at which he could “defend himself according to the true Intent and Spirit of the British Constitution.” Held at Grimsby on 24 Jan. 1820, this court found him not guilty on all but the count of neglect of duty, which it pronounced unintentional. The sentence was a mere letter of censure which Maitland wrote on 6 March informing Beasley that his services were no longer needed and that the decision bore no relation to the court martial “but is founded entirely on the prominent part taken by you in the proceedings of the late convention of Delegates, so inconsistent with your station.” Beasley wrote to a friend: “I lost the Confidence of the Administration and in consequence have been put out of all the Honorable I will not say profitable appointments I held.” The “times,” however, had “required an inquiry” and subsequent events did not disabuse him of that notion. Beasley contested Middlesex in 1820, losing to Mahlon Burwell. Four years later he was elected for Halton. 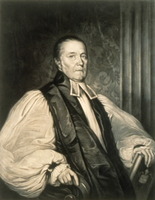 Given his credentials, George Tiffany, an Ancaster lawyer, suggested him to William Lyon Mackenzie* as a “partisan” of reform and as an appropriate choice for speaker. In fact, the position went to John Willson in January 1825. Beasley’s time was past. In 1827 he was restored to the magistracy and from 1834 he served as an associate judge at the district assizes. 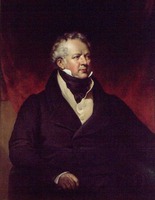 Bogged down in financial difficulty since the Gourlay episode, he had been forced in 1819 to mortgage property (he then owned 11,350 acres) to the Montreal firm of François Desrivières* and Thomas Blackwood. Unable to pay off the mortgage or maintain the interest payments, he sold his Burlington Heights property in 1832 to Allan Napier MacNab*. Two years later, when MacNab began building Dundurn, Beasley was still scrambling to pay his remaining debt to Blackwood. 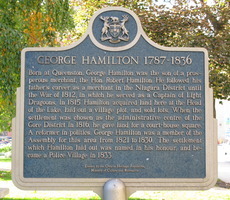 In 1842 he owned one house and two lots in Hamilton, and acted as the local agent for several firms. AO, MS 88; MS 302; MS 502; MS 503; MS 516; MU 500, Richard Cartwright, letter-book, 1793–96; MU 2555; RG 22, ser.131; ser.155. HPL, Barton Township, census and assessment rolls, 1816–19, 1835–42. MTRL, Laurent Quetton de St George papers. PAC, RG 1, E1; L3; RG 5, A1; RG 8,I (C ser. ); RG 9,I, B1; RG 19, E5(a), 3740, 3756; RG 68, General index, 1651–1841. Patrick Campbell, Travels in the interior inhabited parts of North America in the years 1791 and 1792 . . . , ed. H. H. Langton and W. F. Ganong (Toronto, 1937). Can., House of Commons, Journals, 1870, app.1. Corr. of Hon. Peter Russell (Cruikshank and Hunter). Corr. of Lieut. Governor Simcoe (Cruikshank). “District of Nassau; letter book no.2,” AO Report, 1905: 335. [Thomas Douglas, 5th Earl of] Selkirk, Lord Selkirk’s diary, 1803–1804; a journal of his travels in British North America and the northeastern United States, ed. P. C. T. White (Toronto, 1958; repr. New York, 1969), 303. “Grants of crown lands, etc., in Upper Canada, 1792–1796,” AO Report, 1929. [E. P. Gwillim] Mrs Simcoe, Mrs. Simcoe’s diary, ed. M. [E.] Quayle Innis (Toronto and New York, 1965). John Askin papers (Quaife), vol 1. “Journals of Legislative Assembly of U.C.,” AO Report, 1909, 1911–13. Kingston before the War of 1812: a collection of documents, ed. R. A. Preston (Toronto, 1959). “Records of Niagara . . . ,” ed. 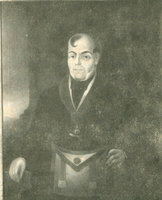 E. A. Cruikshank, Niagara Hist. Soc., [Pub. ], no.40 (n.d.). Select British docs. of War of 1812 (Wood). Statistical account of U.C. (Gourlay; ed. Mealing; 1974). John Strachan, The John Strachan letter book, 1812–1834, ed. G. W. Spragge (Toronto, 1946). Town of York, 1793–1815 (Firth). “Upper Canada land book D, 22nd December, 1797, to 13th July, 1798,” AO Report, 1931. Kingston Chronicle, 1819–20. Kingston Gazette, 1818. Upper Canada Gazette, 1794, 1801. Death notices of Ont. (Reid). DHB. Reid, Loyalists in Ont. Darroch Milani, Robert Gourlay, gadfly. Gates, Land policies of U.C. Johnston, Head of the Lake (1958). Isabel Thompson Kelsay, Joseph Brant, 1743–1807, man of two worlds (Syracuse, N.Y., 1984). B. G. Wilson, Enterprises of Robert Hamilton. Nicholas Leblovic, “The life and history of Richard Beasley, esquire,” Wentworth Bygones (Hamilton), no.7 (1967): 3–16. Robert L. Fraser, “BEASLEY, RICHARD,” in Dictionary of Canadian Biography, vol. 7, University of Toronto/Université Laval, 2003–, accessed April 19, 2019, http://www.biographi.ca/en/bio/beasley_richard_7E.html.